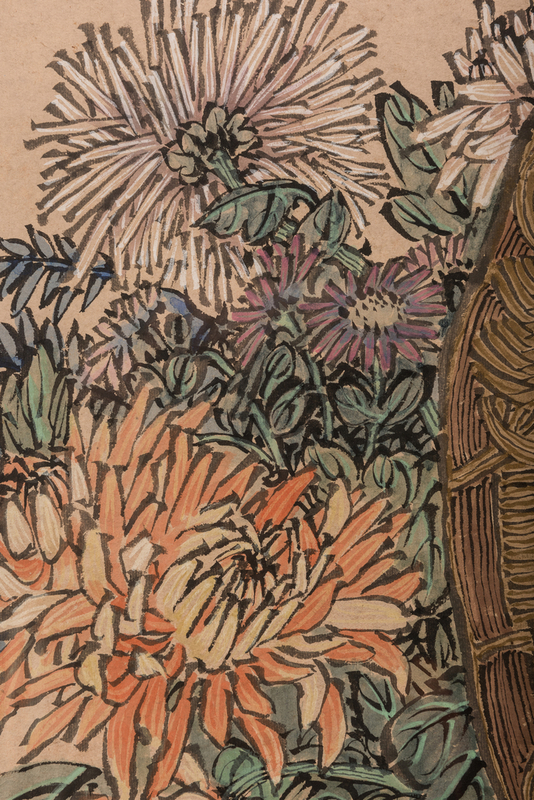 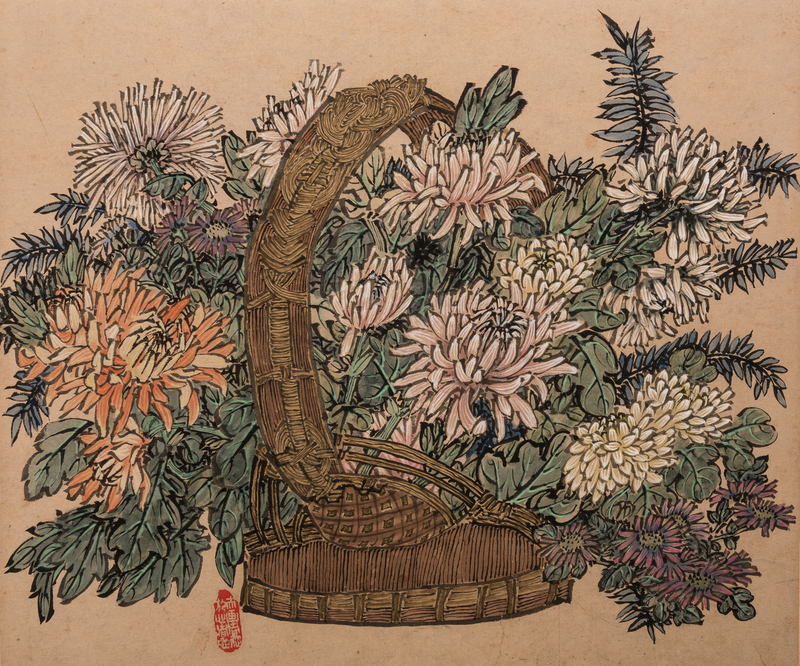 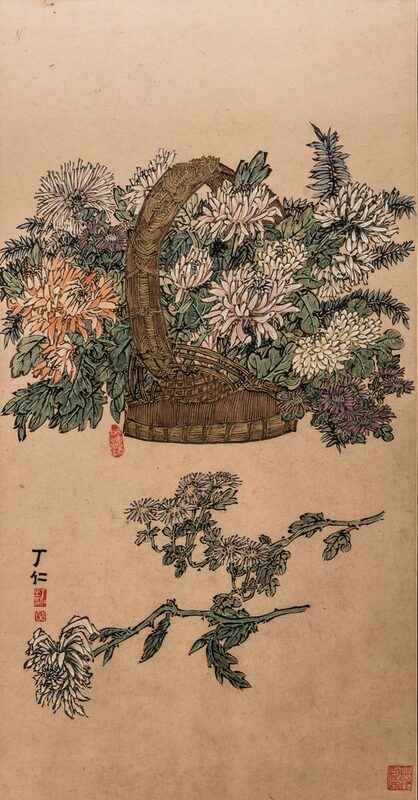 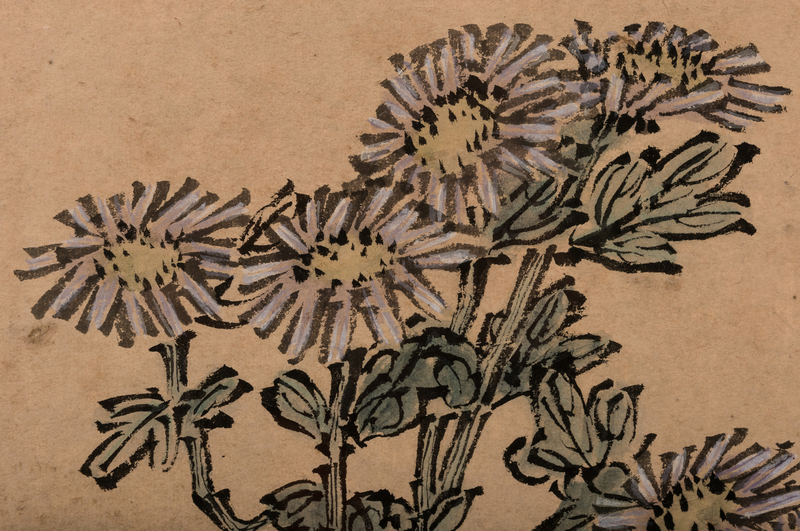 Chinese ink, watercolor and gouache on wove paper painting depicting a traditional Chinese flower arrangement in basket with floral clippings beneath. Signed lower left with red seals, additional red seal lower right. 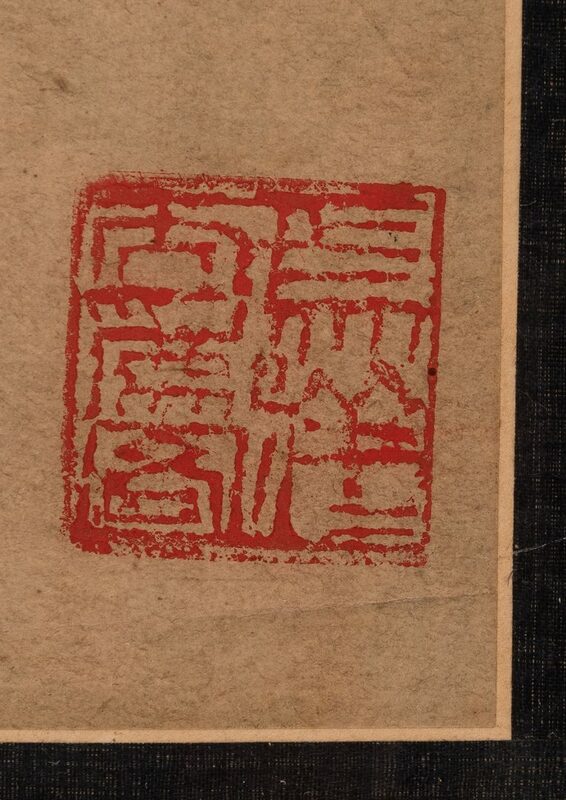 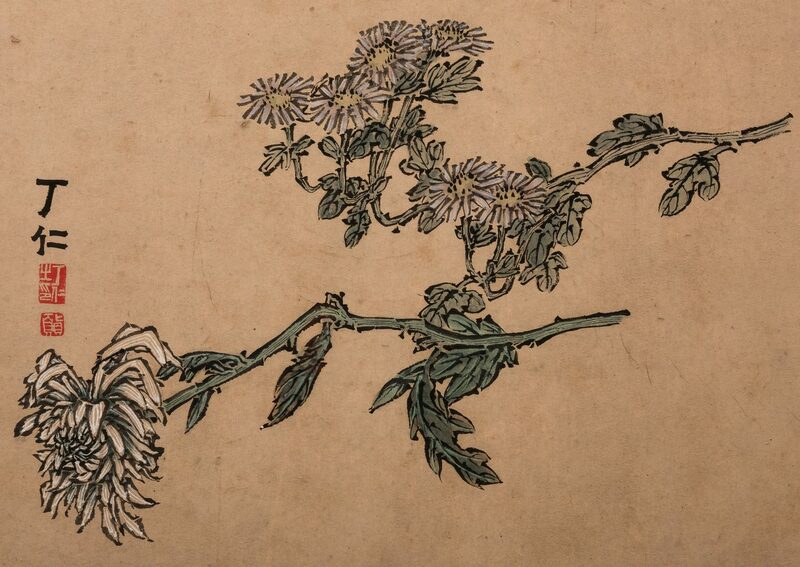 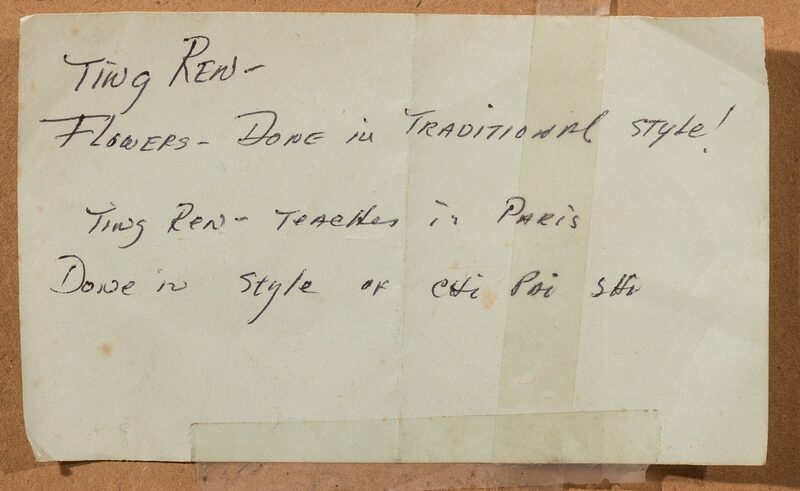 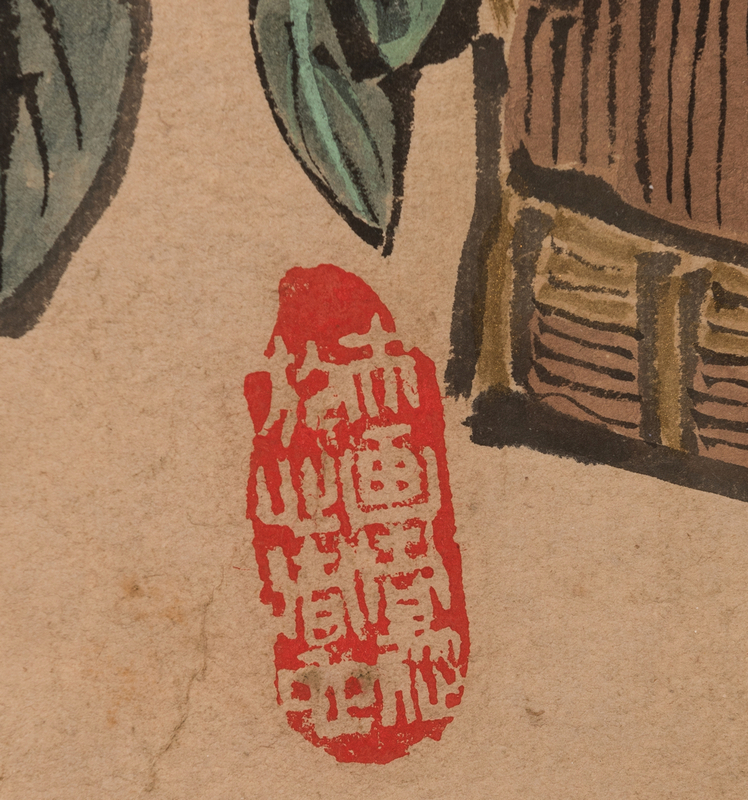 Note en verso states that the artist is Ting Ren, a teacher in Paris, and that the painting is in the manner of Chi Pai Shih (1863-1957), also known as Qi Baishi or Ch'i Pai Shi. 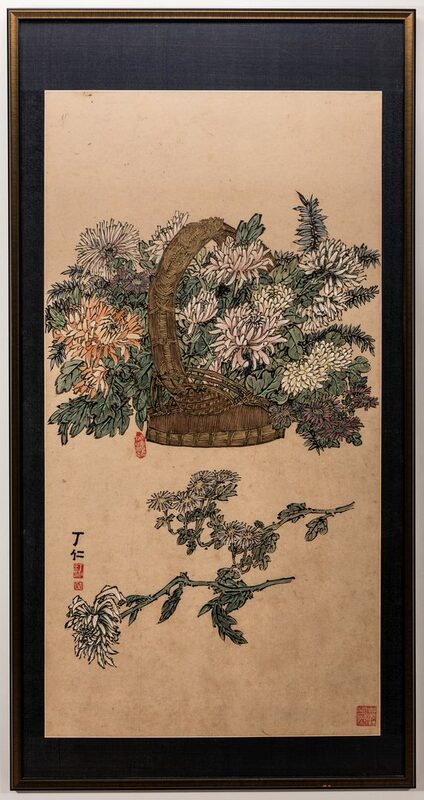 Housed in a contemporary giltwood frame. 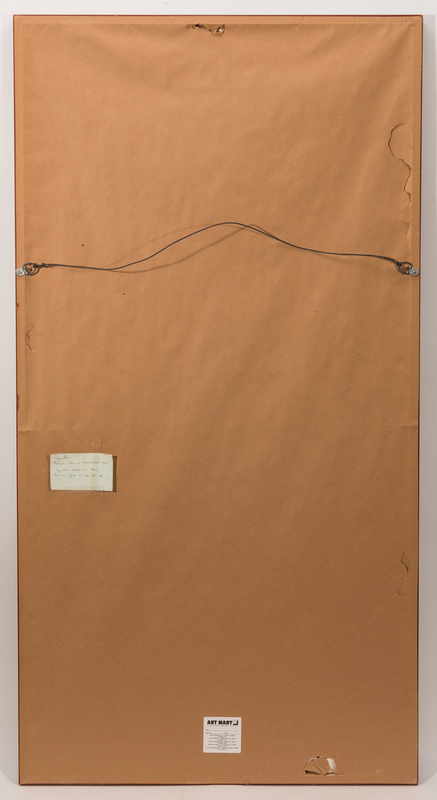 Sight 50" H x 26" W. Framed 61" H x 32" W. 20th century. 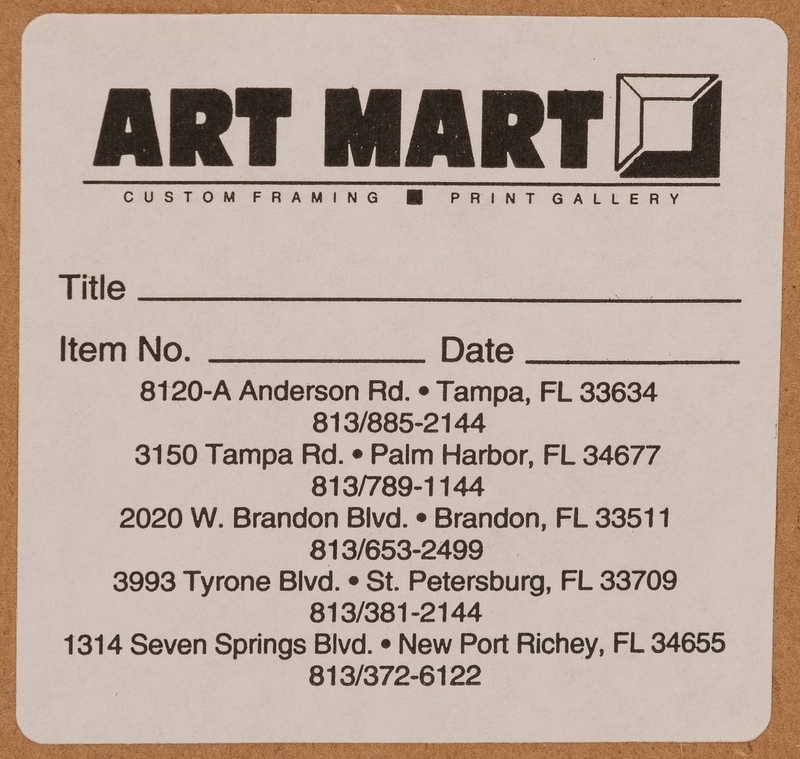 CONDITION: Toning to paper, otherwise overall good condition.